Technology has vastly altered the business landscape over the last few years, changing the way we communicate and collaborate with co-workers, employers and peers alike. Yet the biggest changes are mostly consumer-facing, allowing customers to shop via mobile devices or leave feedback via social media, for example. 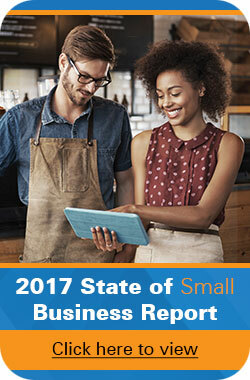 On the other hand, small businesses are notoriously reticent to invest internally: 80% of SMBs polled in the latest Wasp State of Small Business Report said they did not plan to buy tools or training meant to increase employee efficiency this year. This pattern is especially noticeable in what is often an overlooked aspect of business management: time and attendance. It’s estimated that 40% of businesses still do their payroll manually, which allows for inaccuracies and mistakes both when first recording hours and when calculating and finalizing timesheets every pay period. This opens up the company to overpaying hourly wages, time theft, lawsuits and other issues that negatively impact the bottom line. It’s estimated that 40% of businesses still do their payroll manually. 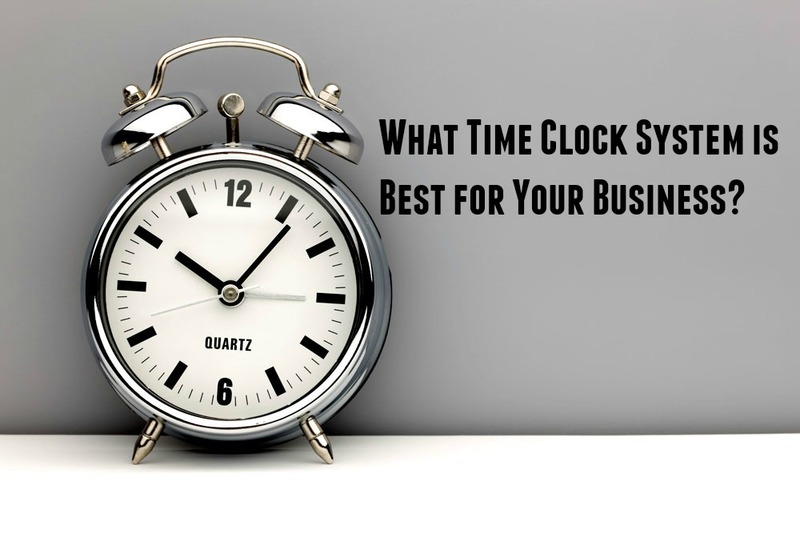 There are numerous options for companies looking to upgrade their time clock system and invest in new software. Comparing what’s available shows a clear winner, though how much you want to invest, and see back in a return on investment, is up to you and your business. Tracking time manually is really only an option for home businesses, i.e., freelance writers or artists who sell their work on eBay or Etsy. If you work for yourself and don’t work on an hourly wage, you won’t need to track your hours for anyone or anything except perhaps your own records. The reason? Once multiple people begin working for one company and need to track their time, you’ll see that using timesheets every week or month (or even daily) is markedly ineffective: In a study by AffinityLive, less than 50% of workers said their timesheets were “very accurate” even when filled out multiple times per day. That number drops to about 25% when workers fill out timesheets once a week or even less frequently, as is common. Not only do employees and HR workers make mistakes when calculating hours manually, but time theft is much easier and more common (practices like “buddy punching” are rampant when there is no system in place to check them) and legal issues abound. The number of wage and hour lawsuits filed under the Fair Labor Standards Act has risen steadily for decades, surpassing “all other employment-type cases,” and without digital record to the contrary, businesses may find themselves fighting losing battles with ex-employees who feel they were owed more during their time with the company. Barcode time clock- This is essentially an updated version of using a punch-clock, with added benefits. Employees are given a badge with a barcode that is unique to them and are asked to swipe those badges at barcode slot reading terminals when they arrive and depart. That information is downloaded to a central database for tracking and reference purposes. While certainly a step up from manual systems, barcode time clocks still have familiar drawbacks like time and resources wasted when an employee forgets or loses their badge and needs a new one or requires a manual clock-in override from a manager. RFID time clock- RFID technology is flashier than a barcode, but its basic functions are the same: a unique “radio frequency identification” number is attached to a badge, which is then passed near a badge reader for clocking in and out. There is no risk of barcode-read errors or degradation with RFID time clocks, however. These are often used by businesses where barcode readers have eventually worn out, such as warehouses or construction, or smaller companies focused on banking or education. HID time clock- Similar to RFID, HID cards are usually proximity cards which require users to be much closer to the card reader when clocking in or out. A smart card chip must make contact with the reader in order for information to be read. Sustainability and cost in the long run: Biometric time clocks may cost more to invest in upfront, but the cost (both financially and on the environment) of using card-based systems, which require constant re-ordering and/or printing, ends up weighing down companies over time. Elimination of buddy punching: Employees will no longer be able to punch or swipe in for each other if one is late to work. This common practice is virtually eliminated with the use of fingerprint-scanning technology. Couples with security: Biometric systems are also used to control and restrict access to sensitive areas of your business, if necessary. Companies in industries that require lots of employees, and thus, lots of opportunities for ID badges to go missing or lost, or for buddy punching, often consider biometric systems. Examples include hospitality/tourism (such as hotels), healthcare (such as hospitals or laboratories), warehousing and manufacturing. In all cases, you can integrate newly acquired time clock systems with existing payroll structures or new time clock software. These time clocks simply make the sharing of data easier, thanks to management reports that can be pulled at a moment’s notice or the ability to download information on a scheduled or periodic basis. 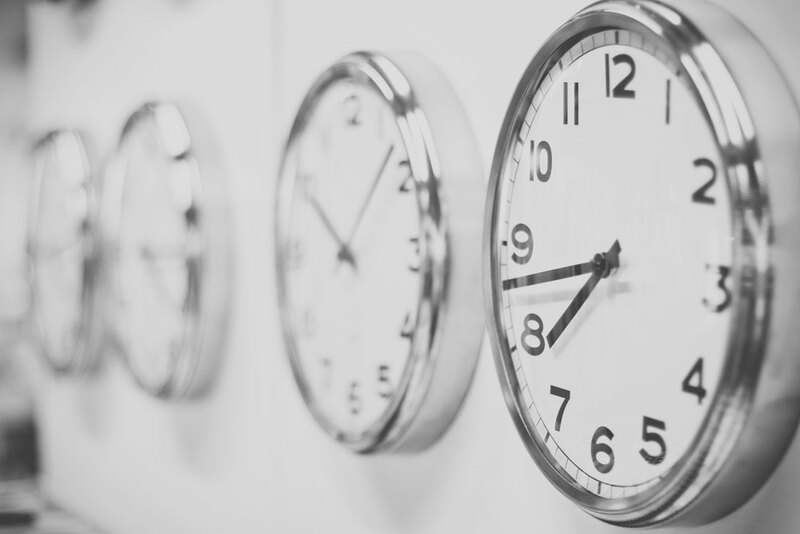 With automated time clocks, there is no cross-referencing various timesheets or filling in time logs retroactively, everything is instantaneous and hassle-free. Businesses small and large, across many industries (from IT to warehousing to law enforcement), are starting to see the benefits of automated time tracking. It’s faster, more efficient, less costly over time and better for your employees individually (as they can devote more time to the jobs they were hired to do) and your company as a whole (as you won’t have to worry about defending yourself from lawsuits or spending extra time on what should be an easy process). At this point, it’s just a matter of deciding which format best suits the current state of your business, as well as your goals for future growth and innovation. How would a time clock system help your company save money?